I can’t beleive I’m already hearing the crunch of almond shells under my feet as I tend the potager. Was it really 8 months ago that I posted photos of the beautiful almond blossoms? That crunch tells me its time to start harvesting; I’m a lazy harvester and like to leave all the hard work to mother nature, who usually uses a nice big storm to shake the trees and send the almond shells hurtling towards the ground. Said storm happened last week and the recent sun and wind has dried the land and the shells nicely, so perfect time to gather them. 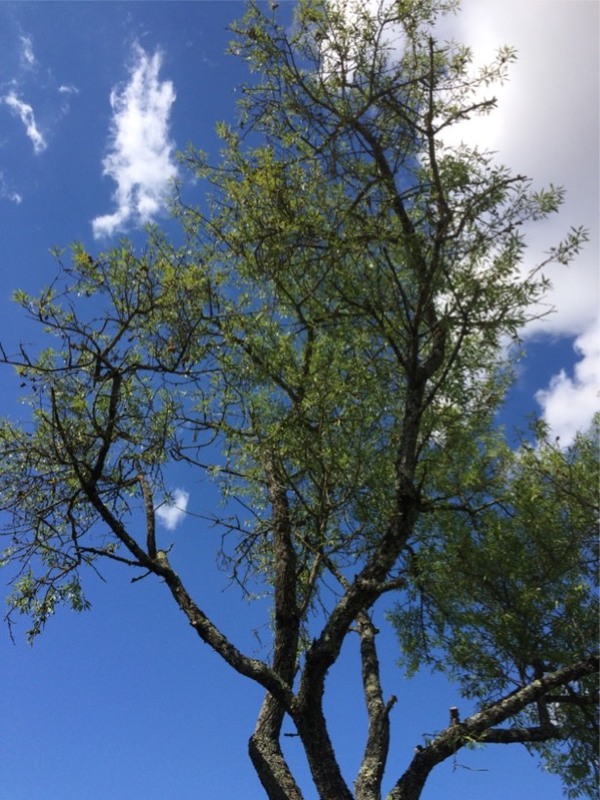 We have four almond trees on our land: a large one hovering over the potager hence the noise underfoot as I tend it. Two on the other side of the front garden and a small one overlooking the pool area, so plenty to harvest. The tree over the potager heavy with husks. 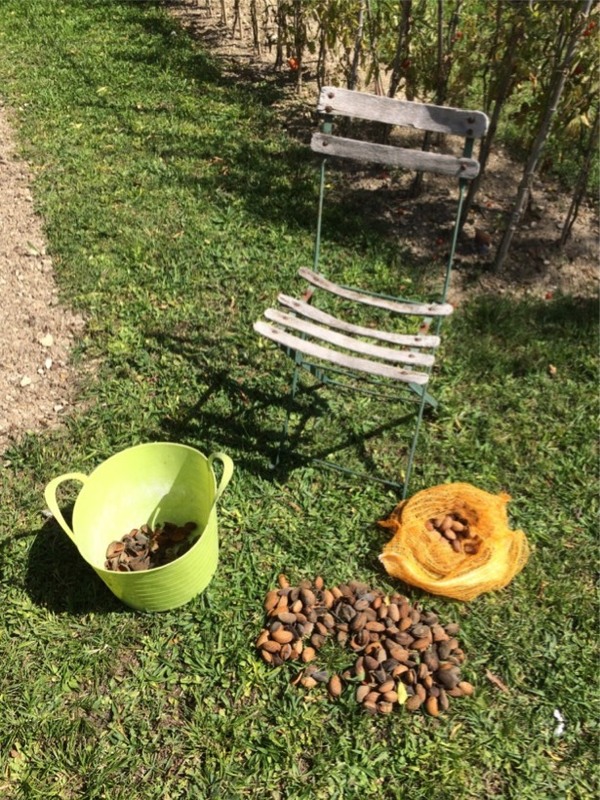 The almonds have fallen and have dried off in the sun, helped by the warm winds. 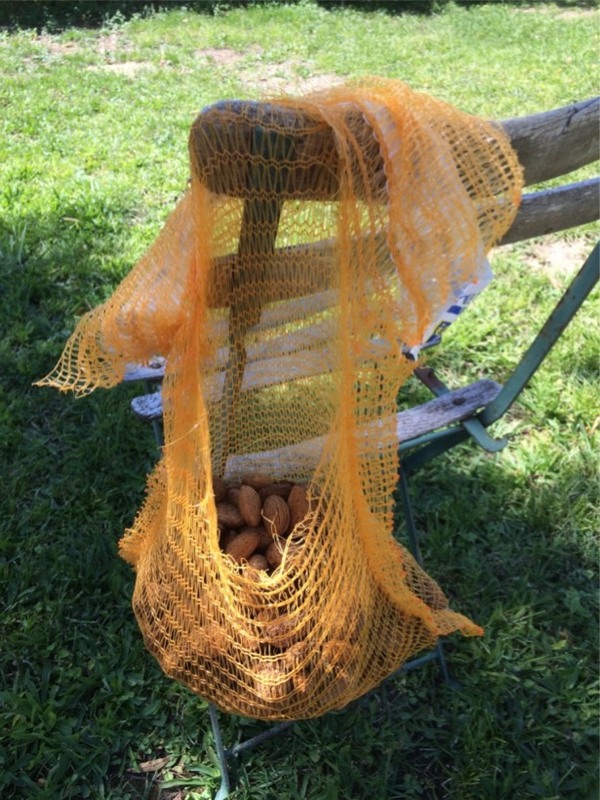 I have a little system for harvesting the almonds, firstly i gather them, then take all the husks off, then you have to check them over to see if any bugs have started to bore holes in the shells, then shake them to see if the fruit has died and separated from the shell, lastly pop them into a net bag. The last few steps are done sitting in my lovely old garden chair…. The rewards of my hard work a nice big bag full of almonds, this is just the first harvest off one tree. mmm how many more trees to harvest, seemed a good idea at the time……. Where id that year go to, its flown by. What a lovely bumper crop. I do love your blog and also have other friends here in N.Z. now watching so you are both quite famous here in Auckland. Keep up the good work. Thanks so much for all your lovely comments it means a lot to know that people enjoy our blog. If your ever over in France please come and visit us. Thanks so much for invitation,Phill, have just noticed your reply.- a month later now 12/10/15.